With floor space being a premium at my current place decided to go with a mini-itx over a full ATX case. Went with Corsair 380T for three reasons, it fits perfectly into the shelf nook in my new desk area, has a solid handle for mobility to move between room, and lastly looks. Wanted to do some solid overclocking with this computer. Had started to do some research prior to my computers death and was split between the Asus Pro Gaming and Gigabyte Gaming 5. Wanted to run a Raid 1 setup for data and and that swung it towards the Gigabyte. With the limited airflow in the case, didn't want my primary drive to be an M2 SSD under the board. Plus reviews seemed to favor the Gigabyte over the Asus. For cooling, with the overclock, wanted to have liquid cooling. The Corsair H100i GTX was having a $20 rebate on Newegg, bringing it down to $80 for the unit. Got lucky and was able to snag an MSI 1070 Gaming X from Newegg for retail. Wasn't able to get this till long after I put the computer together for the first time. Had put off buying a card right away because the new GTX 1080/1070's just launched and wanted to see where the dust settled. Unfortunately, most cards didn't drift that far down and when the opportunity to snag a 1070 presented itself, I jumped. Finally decided to go with red for the fans. Was not feeling the blue and didn't go with the rest of the room. Plus with the majority of parts having red trim, the blue just wouldn't work. First assembly run went pretty well. The case gives a good deal of room to work with and everything went well together. Cable routing was a mess, but first time with this case and mini-itx to boot, it was expected. 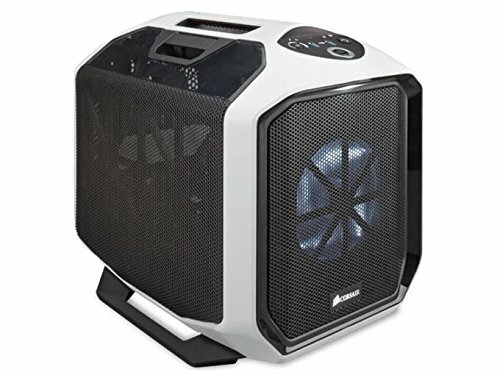 Only major recommendation to people working with a H100i style cooler, put it in last. The grill almost butts up against the board, so plugging in the CPU fan and board power required the grill to be removed. Plus working around those hoses is a pain. Especially with big fat fingers like me. Graphics card hadn't showed up at this point, so first power-up was off board graphics. And here we hit the first snag. The Corsair H100i GTX was making a grinding noise. Doing a quick check online, found it wasn't suppose to sound like this and needed to be returned. Rather than work with Corsair for a replacement, kissed the $20 rebate goodbye and just sent it back to Newegg. New unit was in my hands in less than a week. Second build, paid more attention to routing and tried to keep things clean. Feel everything still was a jumble of wires. Everything started up without a hitch and the H100i GTX was completely silent. With the GTX 1070 showing up a few days later, was finally able to finish the computer. Except I ran into another hitch. The PCI-E cables that came with the PSU are to stiff and can't bend them enough to be able to put the side door on. Have some sleeved cables on the way now and hope this fixes it. Cable extensions showed up and was finally able to pin everything together close things up. One minor complaint on the case, there are no mounting tabs on the back interior side of the case like there are on the front interior side. Will have to say, the MSI GTX 1070 is huge! The thing barely fits in the case, but still fits. Though one minor annoyance, the card isn't a Gaming X 8GB, it is a Gaming 8 GB. MSI did not announce this card and it is basically an unclocked Gaming X for cheaper. Not a huge deal as the Gaming X is $20 more. Had gone with the card for the superior cooling fan. Can overclock this myself as several guides have popped up already on how to do so. Looks like I wasn't the only one that got caught by MSI's play. Should I do a full tear down and rebuild of this system, will order a new full set of individually sleeves power cables. 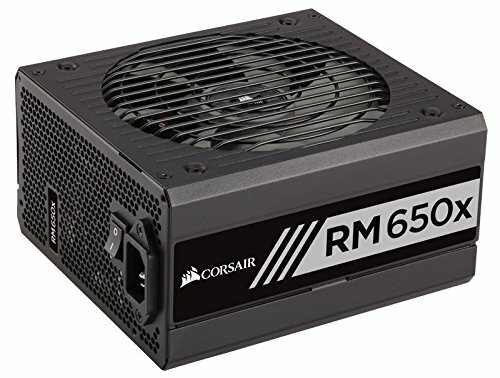 The ones that come with the Corsair PSU are bulky and stiff. The 6 pin and 8 pin extensions I got were so much better to work with. 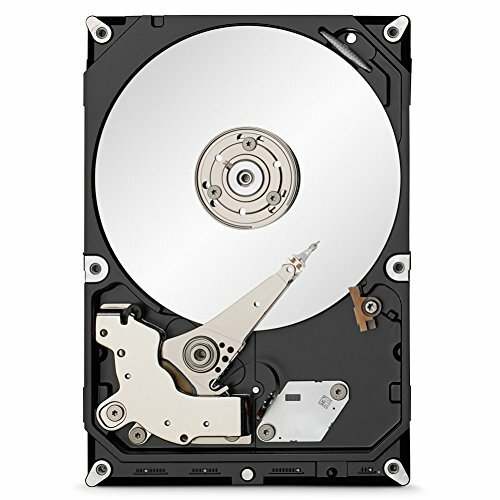 Recommend anyone doing a compact build to consider them. On my second unit so far. The first one made an audible tapping noise and went ahead and returned it. New one is completely quiet. Have yet to stress run the computer to check the temperature and will update my when I have a chance. Great case, but suffers from some issues. Primary problem I had with the case is that the fan controller does not work 100% with some fans. Have a 200mm Bitfenix and 120mm Cooler Master and neither start when the case turns on. Moved the Bitfenix to the board case fan and the Cooler Master starts at medium speed. Other issue I had was with the size of the UBS cable. This thing is huge and think they could knock 6 - 8 inches off it and still have space to plug in from anywhere. The handle is great and one of the reasons I went with this case. Moving between rooms is a breeze and will be able to take it to friends houses without problem. The case is wider than my old full-ATX case, but still with it's shorter height, can fit it on the shelf at my desk. Like I said, still a work in progress and with a couple replacement PCI-E cables coming in for the card, didn't want to anchor the cables till everything is done. Is liquid cooling necessary for overclocking? What if you just used a good fan? Also how loud is liquid cooling compared to just a fan? Liquid cooling isn't necessary per say. When I made the decision, the cost difference between the high end heatsinks and liquid cooling wasn't that much. The main driver is that space is a precious commodity in this case and the best heatsinks don't fit in it. The positioning of the USB port on the board also restricted the top down heatsink selection as well. If you want to go with an air cooled heatsink, check out the board connections for the mini-itx boards. 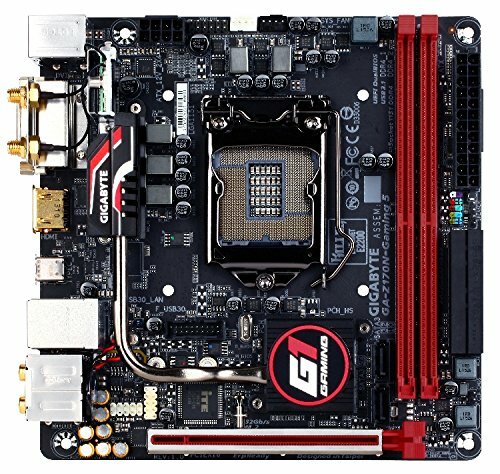 I feel the Gigabyte Gaming-5 was designed with a liquid cooling heatsink in mind. The case USB port connector is just too close to the processor. edit Fogot to add, the Corsair is super quiet when set to quiet mode. Only gets noisy in performance mode. 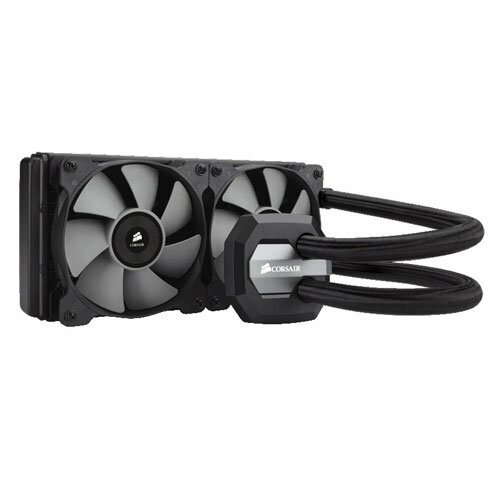 Just a question but with mini ITX motherboards, there isn't any CPU OPT fan headers for pumps or extra fans. So what did u use to power your punp? Did u use a chassis fan header? The H100i pump is powered by connecting to the 9-pin on-board USB connector. The fans connect to a union that connects to the boards CPU fan connector. 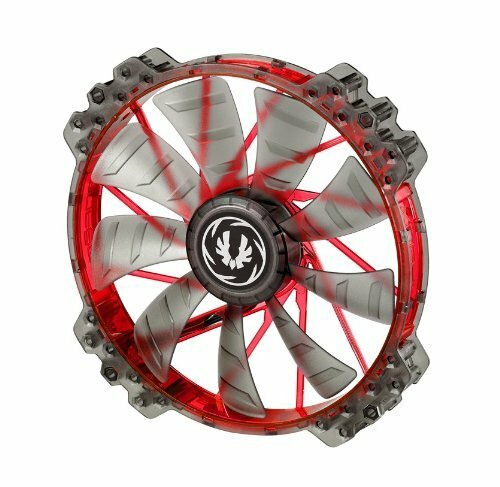 The union for the fans comes with the H100i GTX. So about nine months later, sailing has been a bit rough with this girl. It eats hard drives. The two Seagate hard drives I got for this computer failed. First within three months, the second within eight months. Replaced both with a single 4GB drive and that failed in two months. The replacement for that is already showing problems within a week. The SSD drive works like a charm still. 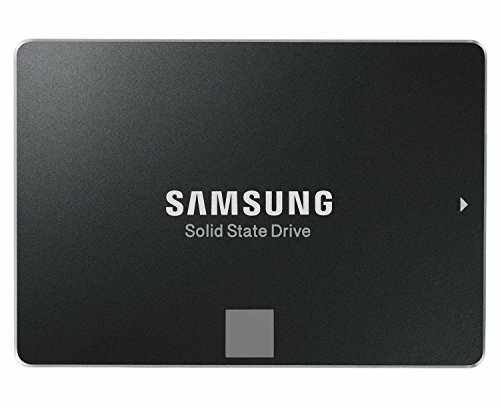 Connecting the drives to an external drive case show all of them non-responsive. Checked the power socket to make sure it was properly grounded and the computer runs through a UPS to minimize power spikes. More tech savvy friends don't think it's the mother board since the SSD drive still works fine.